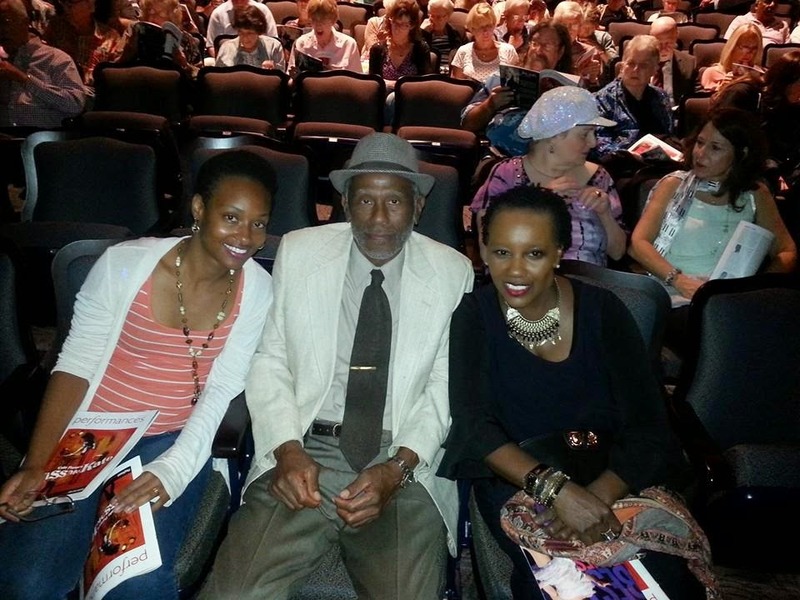 John Malveaux of MusicUNTOLD sitting between Vocalist/Choral Director Zanaida Robles and Violinist/Orchestral Director Yvette Devereaux at Pasadena Playhouse performance of Kiss Me Kate on Sept 24, 2014. John Malveaux announced plan for a future concert to celebrate 95th anniversary of 19th Amendment to the Constitution granting women the right to vote. MusicUNTOLD is dedicated to presenting arts and educational programs that promote diversity and human dignity.